This winter, Unicef are providing clothes and essential supplies for over 2.5 million children in Syria and Iraq as well as those who’ve taken refuge in Turkey, Lebanon, Jordan and Egypt. After five years of war, thousands of Syria’s children face another bitter winter without shelter. 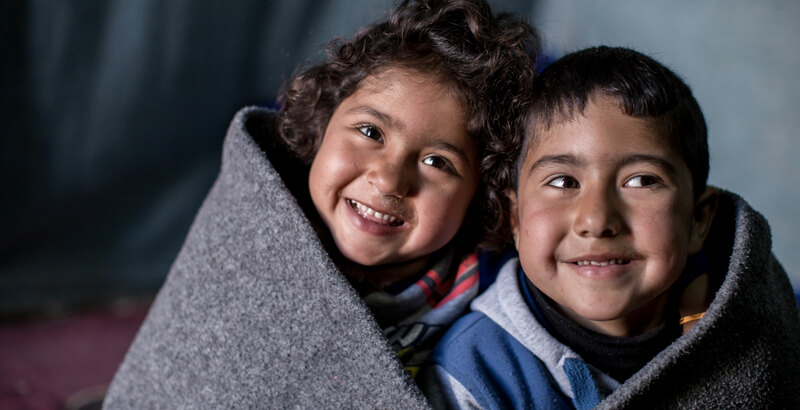 How can a blanket help Syrian children? Unicef’s priority as a charity is to reach the most vulnerable children, including the youngest, poorest and those living in besieged or hard-to-reach areas. Your support will help children get access to clean water, medical care, protection and warm clothes. A donation of just £34 could provide a complete winter supply kit for a toddler – including a warm coat, thermal hat and gloves, and sturdy winter boots. You can help Syrian children.